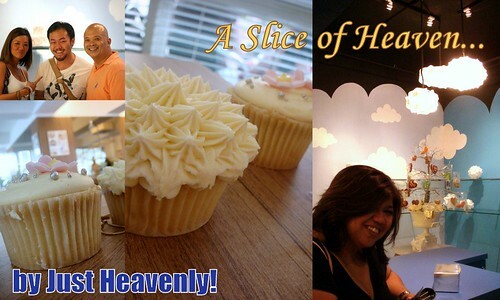 A Slice of Heaven is all the RAGE! It is a cake boutique offering designer cookies, cookies to take away and the latest most innovative concept of small sugar sculptures that you can purchase and place on any of their whole cakes, for a variety of occasions! This is but the tip of the iceburg. NOW open from 10am to 10pm everyday, all day, all week! Find them at Jaya One, right next door to Cold Storage. A Slice of Heaven, by Just Heavenly. Next articleNASI without the LEMAK is like….. Thanks so much luv. Much appreciated cuz. HUGS HUGS thank you for your support and am so blessed to have RELOS like you! Not to mention your cute hubby! 😉 LOL is he blushing yet? How much does it cost a simple cupcake? Now OPEN on sunday & nearer plus easier to locate!